R82 Cricket lightweight folding stroller provides support and stability for the child, along with excellent functionality for the caregivers. 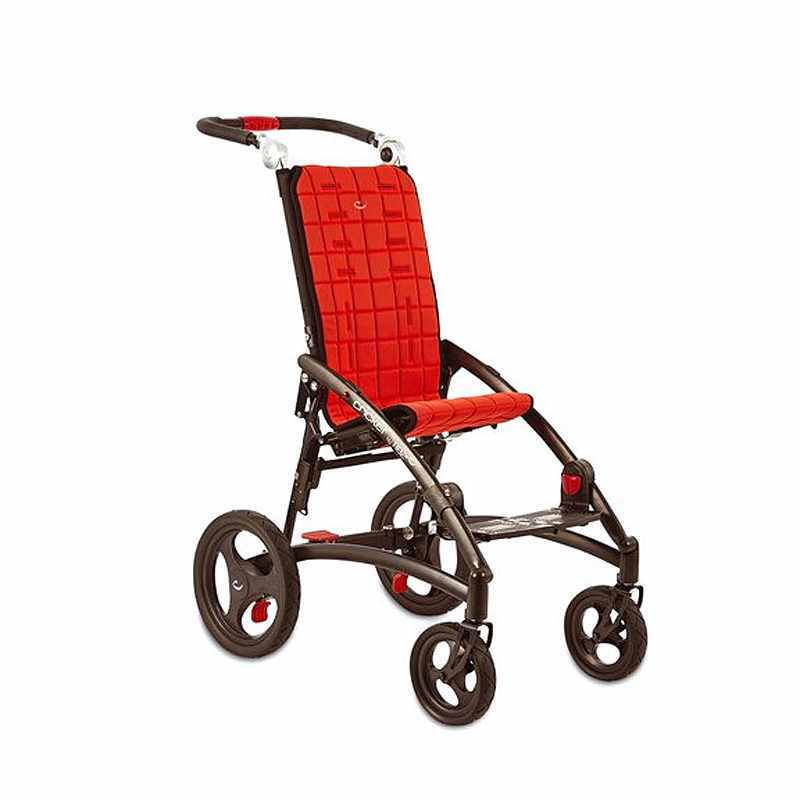 With its effortless maneuverability, the R82 Cricket is the perfect chair for outings and adventures! Cricket is lightweight, compact and easy-to-fold, developed with aesthetics, quality and comfort in mind. R82 Cricket comes in two sizes with 20° fixed tilt and adapts to the child’s growth, maximizing its lifespan. 360° turnable front wheels ensure a smooth ride and make steering a breeze, and puncture-proof wheels provide exceptional performance. 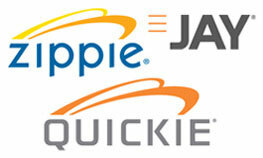 Cricket is approved for transportation and complies with ISO 7176-19 for safe transportation in vehicles. Tool-less back recline: The backrest angle can be adjusted by 15° from 110° to 125°. 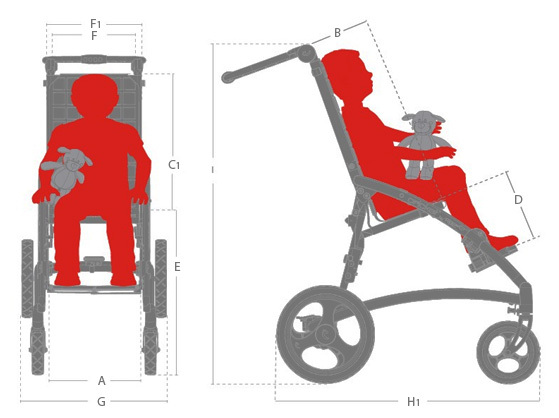 Growth capabilities: As the user grows, Cricket’s seat depth, seat width and height of footplate can be adjusted according to the child’s size. 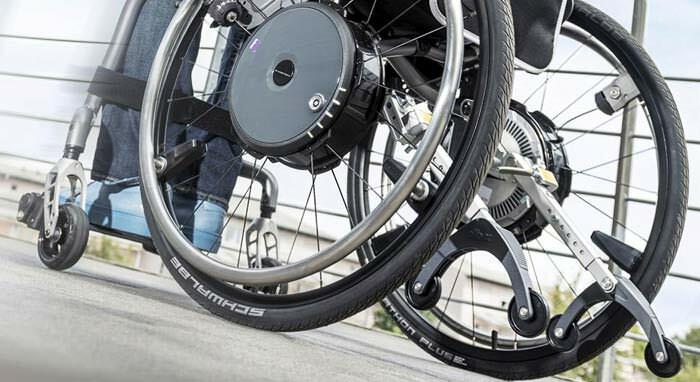 Light weight and easy to fold: This lightweight wheelchair is compact when folded, and is self-standing, requiring minimum storage space. 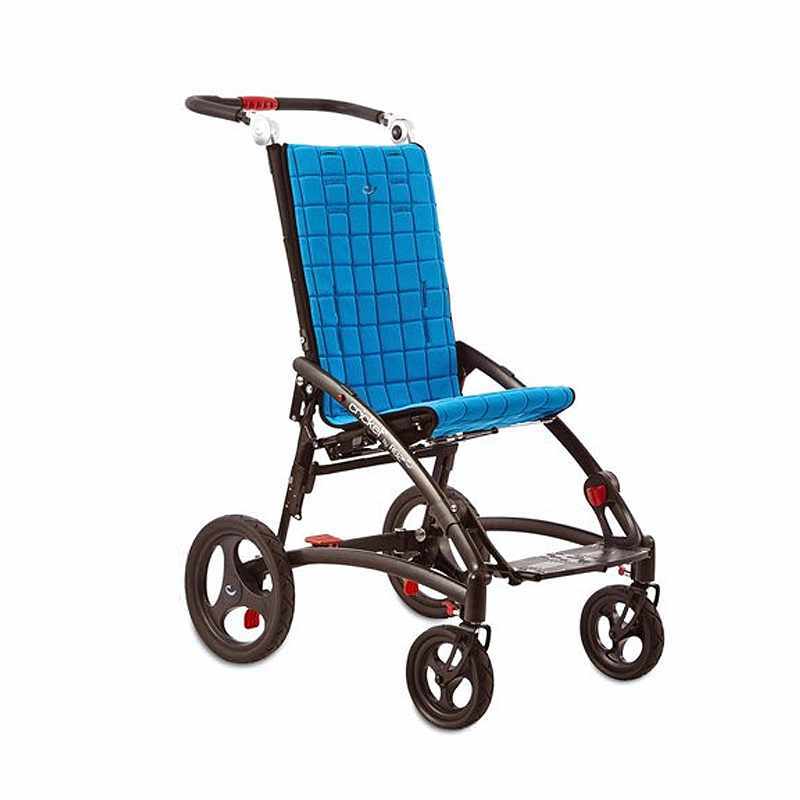 Height & angle adjustable foot support: The Cricket comes with a footplate that is height and angle adjustable. The foot support swings away for easy transfer without the need for tools. Seat width (A) 13½" 15½"
Back width, outside (F1) 12¾" 15¼"
Seat depth (B) 8¼" - 12¼" 12¼" - 17"
Seat surface height at front edge 19¾" - 21" 21¼" - 22¼"
Footrest to seat distance 7" - 14¼" 8¾" - 14½"
Minimum turning diameter 57" 60"
Weight, total 27.3 lbs. 29.5 lbs. Max load (=user+seat+accessories) 77 lbs. 110 lbs. Max load for transportation (=user+seat+accessories) 59.5 lbs. 94.5 lbs. Armrest to seat distance 6¼" - 7½" 6¼" - 7½"